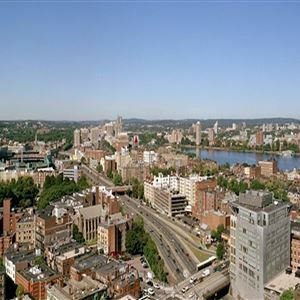 Property Location Located in Boston (Back Bay), Hilton Boston Back Bay is minutes from The Shops at Prudential Center and Hynes Convention Center. This 4-star hotel is within close proximity of Berklee College of Music and Christian Science Plaza. Rooms Make yourself at home in one of the 390 air-conditioned rooms featuring refrigerators and flat-screen televisions. Your pillowtop bed comes with down comforters. Complimentary wireless Internet access keeps you connected, and cable programming is available for your entertainment. Private bathrooms with showers feature designer toiletries and hair dryers. Amenities Take advantage of recreation opportunities including an indoor pool and a fitness center. Additional features at this hotel include complimentary wireless Internet access, concierge services, and gift shops/newsstands. Dining Enjoy a meal at a restaurant or in a coffee shop/café. Or stay in and take advantage of the hotel's room service (during limited hours). Quench your thirst with your favorite drink at a bar/lounge. Business, Other Amenities Featured amenities include a business center, complimentary newspapers in the lobby, and dry cleaning/laundry services. Planning an event in Boston? This hotel has facilities measuring 15000 square feet (1394 square meters), including meeting rooms. Self parking (subject to charges) is available onsite. 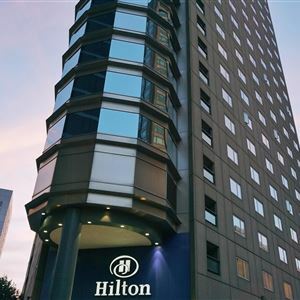 Located in Boston (Back Bay), Hilton Boston Back Bay is minutes from The Shops at Prudential Center and Hynes Convention Center. This 4-star hotel is within close proximity of Berklee College of Music and Christian Science Plaza. Make yourself at home in one of the 390 air-conditioned rooms featuring refrigerators and flat-screen televisions. Your pillowtop bed comes with down comforters. Complimentary wireless Internet access keeps you connected, and cable programming is available for your entertainment. Private bathrooms with showers feature designer toiletries and hair dryers. Take advantage of recreation opportunities including an indoor pool and a fitness center. Additional features at this hotel include complimentary wireless Internet access, concierge services, and gift shops/newsstands. Featured amenities include a business center, complimentary newspapers in the lobby, and dry cleaning/laundry services. Planning an event in Boston? This hotel has facilities measuring 15000 square feet (1394 square meters), including meeting rooms. Self parking (subject to charges) is available onsite.